Surely you can still remember those Monday queues at your neighborhood bank office crowded by old ladies with their bank books. Those are things of the past. Now you can view all your transactions on site and at the blink of an eye by checking a banking app on your smartphone. New generations want financial institutions to make banking less boring and better accessible. Have brick-and-mortar banks their days numbered? Last week at the FIN/SUM event in Japan, the center of attention concentrated on brand-new fintech applications and new technologies that will lead the world of tech and finance in the following years. Once again, most techies are mainly struggling to develop state-of-the-art tools instead of focusing on practical cases. Today users are not as before, the Z Generation and the Millennials are digital natives. According to TechCrunch, consumers spend 85% of the time on smartphones in apps. Therefore, they also want to control their bank transactions via mobile at the click of a button. One cannot imagine those generations going to a traditional bank to print statements or even online to check their accounts through a bank website. For the better or worse, future generations’ priorities are in other fields. Money does not matter much for them and they do not like banks to go and get access to their savings. What’s more, they love the fact that a virtual assistant could directly manage their accounts according to their individual needs. They dream of having an ad hoc assistant to create an account for them, sending them notifications claiming on unusual or excessive expenses, namely assisting them around the clock. It is not surprising that those AI-driven virtual assistants will be voice-based, and consumers will talk to them as if they were talking with a bank administrative assistant. The question is, will those conversational agents be able to talk like a human? In recent years, many large financial institutions as Santander Bank or BBVA have been building their own online banking platforms to ride a wave of e-commerce business providing financial services applied, mainly, to payments, retail and commercial banking. Until now, the users themselves had been struggling to understand how to digitally check their accounts, consequently, a need for internet-based customer assistance has been reconsidered. Needless to say, how easy would it be to make a wire transfer just by asking your smartphone: Hey, send 100 euros to Michael’s account. Indeed, Bank of America began this year rolling out the first AI-driven virtual assistant of this kind for the financial market. This conversational agent called Erica provides users with information about account changes, balances and transactions by communicating with them as a human agent would do. How can that be possible? Erica combines brand-new techniques in artificial intelligence, natural language, and predictive analysis to properly help customers out with their banking operations. In Bitext, there are also packages available to improve customer support bots’ linguistic skills thanks to the latest NLP technologies enhancing, on the fly, customer experience. Banking companies need a business strategy for the digital age. 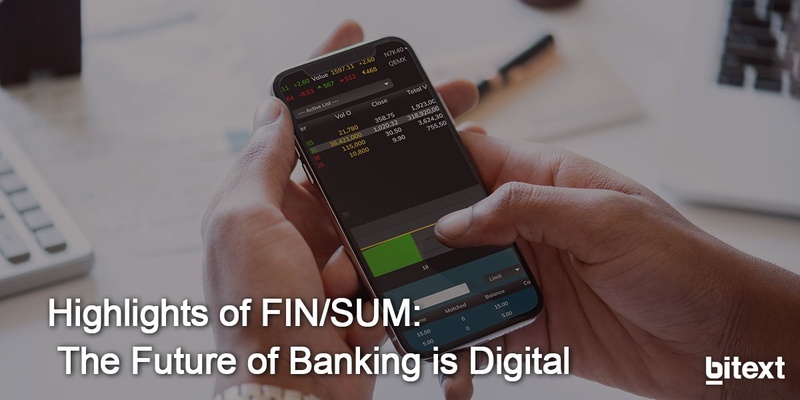 Finance technologies are here to stay and they aim to compete with traditional banking methods and, believe it or not, mobile banking will win the battle. Millennials have a lot to offer, financially speaking, and now it’s time to reach them before they sprint. Need help with the implementation of these services? Contact us for further information by clicking here.